Aye, aye captains! Found myself going to the cockpit area and making friends with the pilots after landing in Hong Kong. Of course, I was the last passenger to step out of the plane because of the photo ops. I was staying at the Harbour Plaza Hotel in North Point. I was all set to ride the taxi up to the hotel but there's an airport bus that stops a few steps away from the Harbour Plaza Hotel. Also, one can get tons of Hong Kong maps (for free) at the airport. 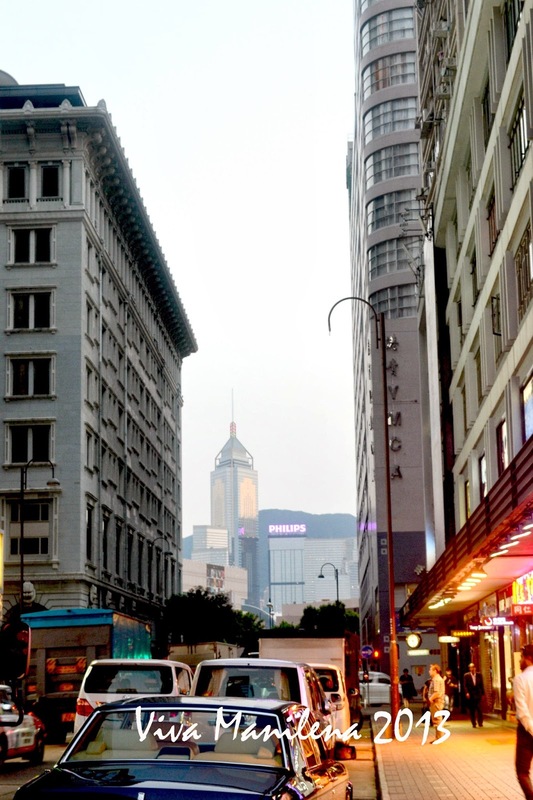 The photo below is taken at the "walkway" from IFC Mall to the ferry station in Central. I had a blast watching the vehicles below and checking which building is taller or nice looking. 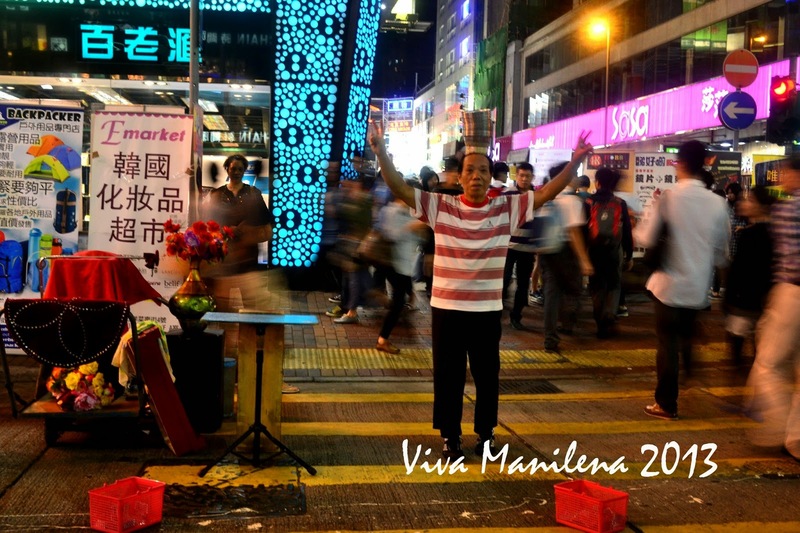 One of the street performer that I saw in Mongkok. Mongkok is famous for its night market and bargain finds. There's a lot of tourists and locals in the area. The man in the photo tries to balance bowls on top of his head while adding another one using his foot; he gently kicks the bowl upward and he tries to catch it using his head. Face painter. 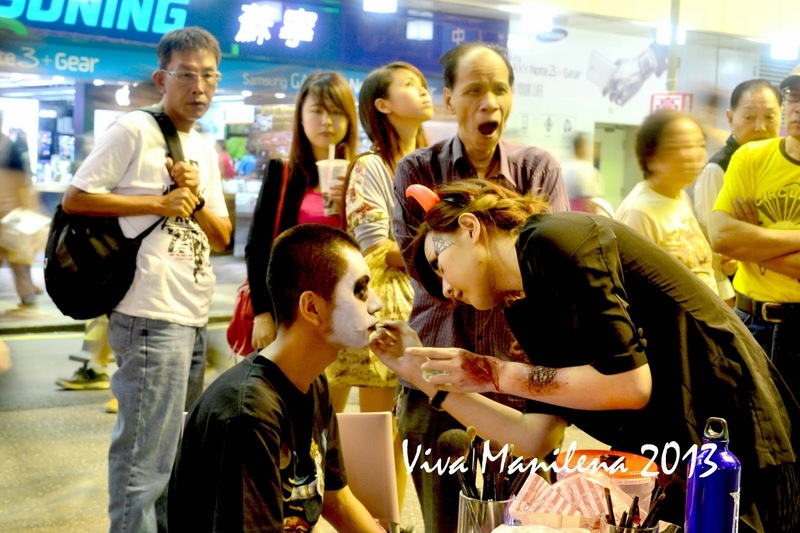 It was the night before Halloween when I arrived in Hong Kong so the man seated wanted a ghoulish look. Cool! 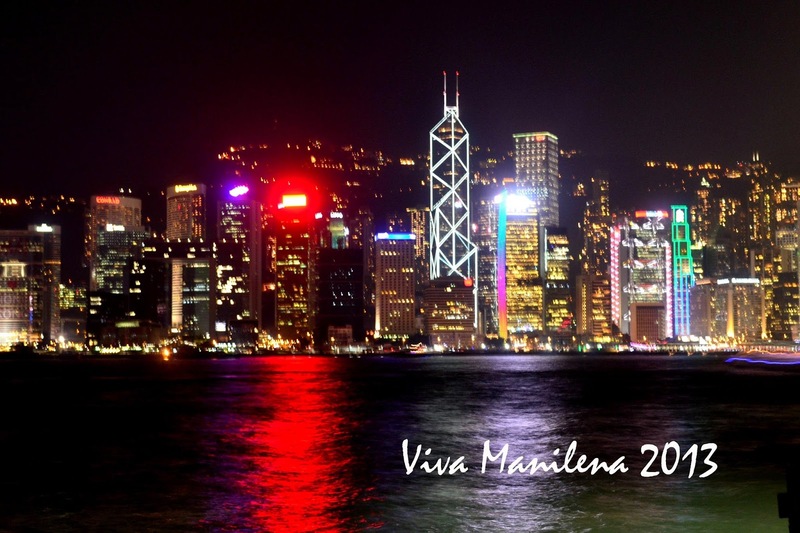 The buildings in Central are gaily lighted and everyone's still up and about even at 1030pm. 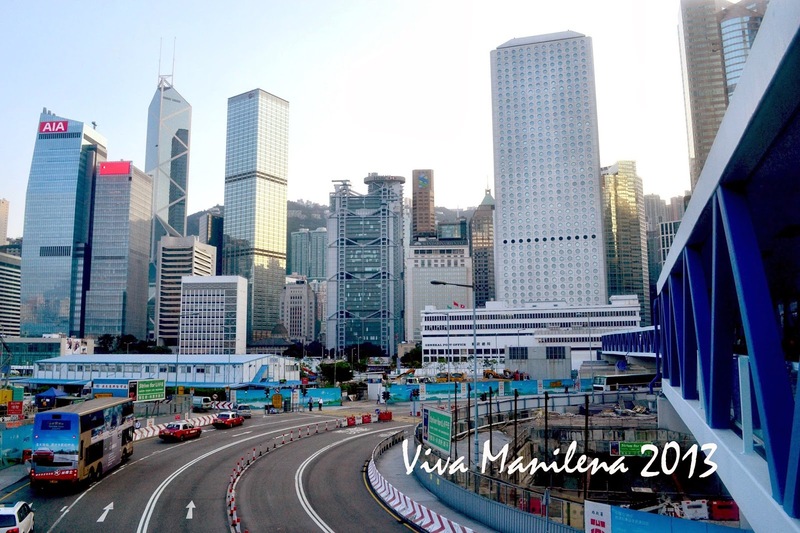 I took the last ferry going back to Central after exploring Tsim Sha Tsui, Mongkok and Nathan Road.